Unlimited, uncensored questions in 60 fun-filled, chaotic minutes. Ever had a question about the theatrical world but had no one to ask? Now is the time! 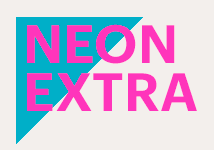 When attending a Neon production you will have the opportunity to submit any theatre related question anonymously. During this session, a panel of diverse theatre practitioners, led by MTC Artistic Director Brett Sheehy, will publicly answer as many of your questions as they can get through in 60 minutes – and no question will be skipped!